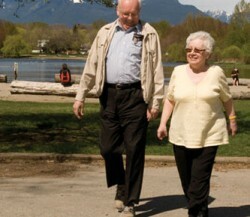 We provide independent seniors housing at 11 properties in Vancouver, Burnaby and North Vancouver. This type of housing includes studio and 1-bedroom apartments, and is for seniors who are able to live on their own and lead active lives. Rental subsidies are available at some properties. At all of our properties residents can enjoy a wide range of amenities and activities, and be part of a community where neighbours are friends.